It’s been a while since I last hosted, so … welcome, welcome, welcome! Please add your links to the Mister Linky thingy at the end of the post so we can all come visit. (If you have any trouble, leave your links in the comments and I’ll take care of it.) Thank you! 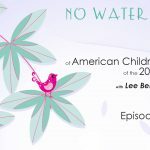 Before we get started, I wanted to bring your attention to KidlitWomen, a new Facebook page started by author Grace Lin. 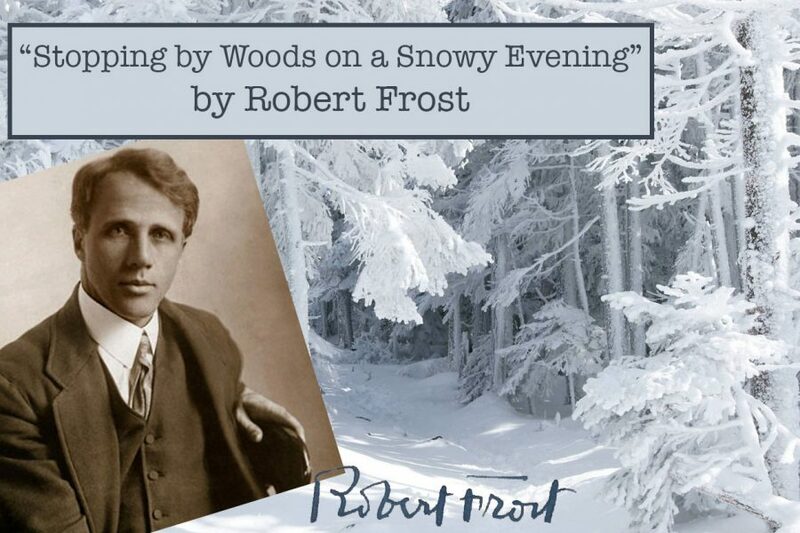 Starting March 1, the group is celebrating Women’s History Month with 31 days of posts focused on improving the climate for social and gender equality in the children’s and teens’ literature industry. I encourage you all to join this important conversation on the FB page or on Twitter at #kidlitwomen. As I say in the video, Michelle is one of children’s poetry’s very best friends, always going full steam ahead to highlight the latest books and bring us month after month of in-depth interviews with poets and editors. And of course the pièce de résistance is that monthly writing challenge, which unfailingly produces some stellar work from our Poetry Friday community and beyond. 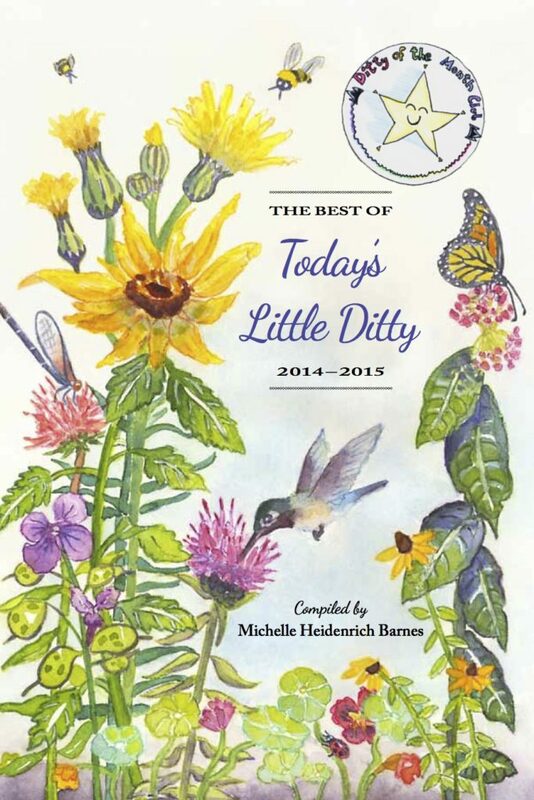 It was no surprise, then, when a couple of years ago Michelle told me about her idea to put together her first book, The Best of Today’s Little Ditty 2014-2015. 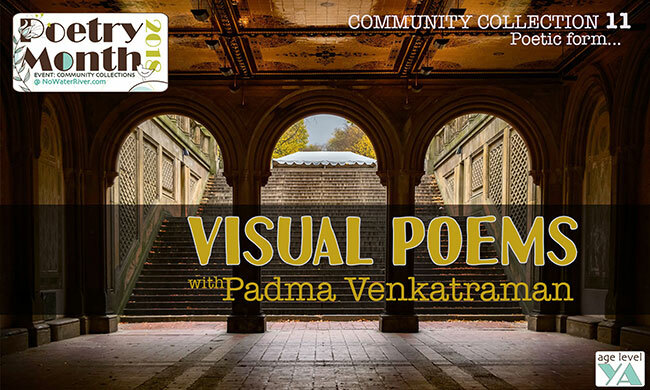 Indefatigable as ever, she plowed through an immense amount of poetry to bring us a well curated anthology featuring poems by over fifty poets. Michelle is tireless in her efforts to highlight and uplift other poets and make us all write, write, write, which is why I’m especially happy to shine the light on her today. Besides being an extraordinary blogger and people-bringer-togetherer and dear friend, Michelle is a talented, thoughtful, and dedicated poet. So let’s go out to the playground and have a listen while she shares two of her own poems from her Today’s Little Ditty anthologies. Here are the poems for your reading pleasure (click to enlarge). First we have this “sizzling” cicada love song, full of buzzing language and surprising images (“unzips his skin”!!!). Who knew they were such romantics? And then, just in time for Women’s History Month, comes this chin-up, get-outta-my-way clerihew about the infinitely inspiring Amelia Earhart. I love how Michelle captures her spirit and determination in these four short lines. My thanks to Michelle for stopping by to share her talents! To find out more about Michelle and her monthly blogging challenges, visit her at Today’s Little Ditty. I hope you all have a sizzling day! Leave your poetry links here! AW, SHUCKS! You’d like to receive my weekly posts in your inbox, you say? Well, just sign up at the bottom of the page! Poems © Michelle Heidenrich Barnes. All rights reserved. Good morning from Washington DC where I could be sleeping in….but the screaming wind of a nor’easter has me awake and listening to March roaring in like a whole pride of lions. Thanks for hosting today, Renee. I couldn’t agree more with the total love Michelle has given the kidlit poetry world. Only in the past five years or so have I started to seek out the community of kidlit poets and Michelle is like one of the greeters at the door. I love her enthusiasm, encouragement and overall energy. Her poems are full of all of that too. Thank you so much for highlighting her today. I was thrilled to see that you’re highlighting Michelle and Today’s Little Ditty. I plan to come back later and fully enjoy your post and her poetry when I have time to linger. Thanks so much for hosting this week. Thank you for hosting and sharing, Renee! I am in awe of Michelle’s work. Her poems are such a gift to us all! I can’t wait to go visit her blog this week to thank and praise her for her incredible contributions to the poetry world. Brava! You were both born with the poetry-generosity gene. Great to see you, Renée, and thank you for hosting. Renee — Thanks for hosting the party today and brightening my Poetry Friday as I hunker down in a crazy late-winter nor’easter in Boston. Loving this celebration of all things Michelle Barnes. She and her delightful gems are giving me much to smile about today. Happy Poetry Friday, all! Those were two of my favorites from Michelle’s books…especially loved the ‘unzips his skin’ line, as well. Thanks for spotlighting our friend, Renee! Michelle is a wonderful asset to our children’s poetry family and I appreciate all the support she has given me and so many others. Michelle is a generous, bringer-together and talented poet as well. I am honored to have my poetry bumping elbows with hers in the anthologies. It’s a different kind of pleasure to write at direction than to write what one wants. I enjoy having some of both in my life. I can’t wait to watch the video/ I’ll save it as a treat for later. Yes! Michelle’s blog is a wonderful contribution to the community. The interviews are fabulous and she inspires so much great poetry. Thanks so much for hosting today and featuring Michelle and Today’s Little Ditty! Loved hearing her read in the video. Don’t know how she manages to do all she does with her awesome interviews, challenges, and anthologies. And I love her poetry!! Michelle, you’re a star! Thank you Renée, for featuring this talented and visionary woman! These are new to me, so thank you! 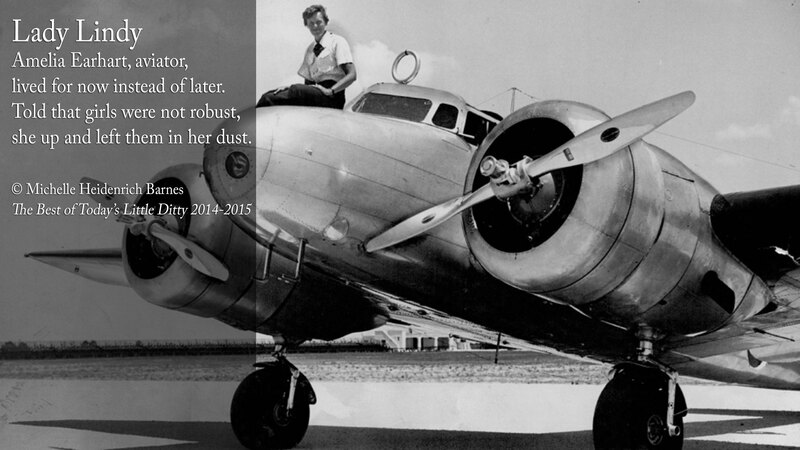 As part of an aviation-loving family, I’m especially fond of the Earhart poem. Zoooooom! I’m in today with my Poetry Sisters writing to a photo from the amazing Garden of the Gods. Hear, hear! I second all the praise and love for Michelle and all she does to shine a bright light on children’s poetry. She has been a most welcoming voice. It’s lovely to see Michelle visiting here, and celebrating all that she’s done for poetry these recent years. 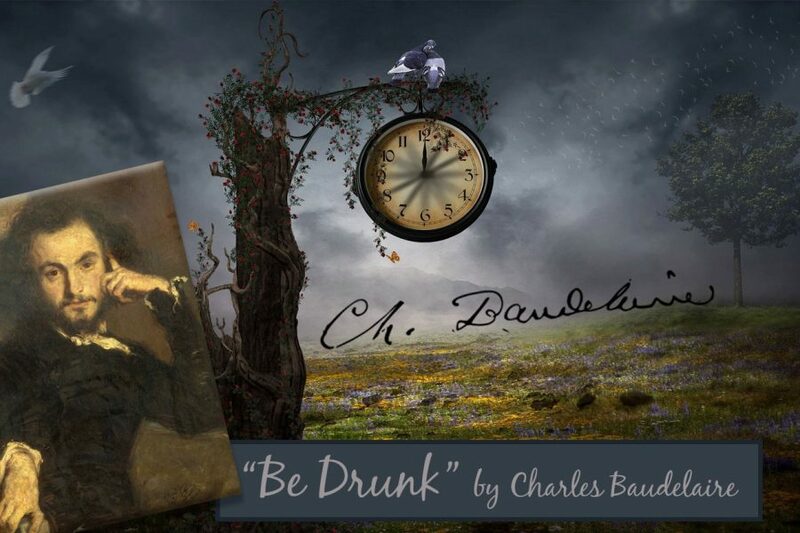 I am grateful and amazed at her accomplishments, honored to have a few poems in her books. Thanks, Renée, lovely to see you here! So happy you are highlighting the ditty lady!! Thank you for hosting today, Renée, and for shining the spotlight on Michelle. She is so generous and supportive to this community. love both poems, and what a treat to have Michelle read them to us! Happy Friday! Thank you for hosting! Happy March, everyone! I posted Emily Dickinson’s ode to March at my blog, Bildungsroman. 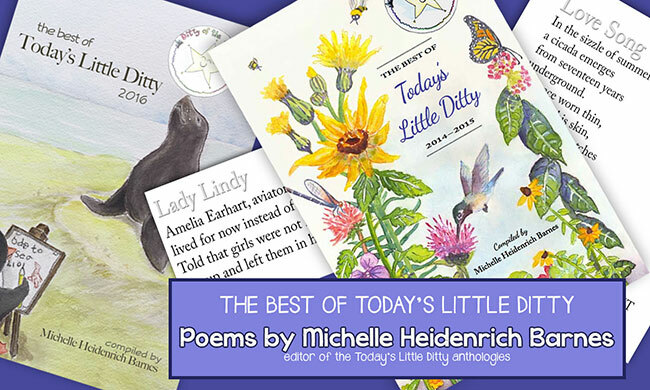 So refreshing to begin my morning and the month of March spotlighting Michelle, her Ditty blog, and the “Today’s Little Ditty” anthologies, thank you Michelle for all the treasures you have released to all of us–and they keep on coming! Thanks Renée for this special spring review–loved the swinging video, flying and “Chit-Chit-Chit poems! Oh, Renee, this is such a lovely way to begin my day. I must come back to linger a bit longer when I’ve a bit more time this weekend. I’ve noticed mentions of “Today’s Little Ditty” challenge but haven’t checked it out. Now I must! Michelle, “Love Song” is beautiful. It stirred memories of years we lived in Texas. One summer the cicada were so numerous, my boys collected their “shells” in coffee tins. Then they lined them up on our patio like massive ancient armies and played war. 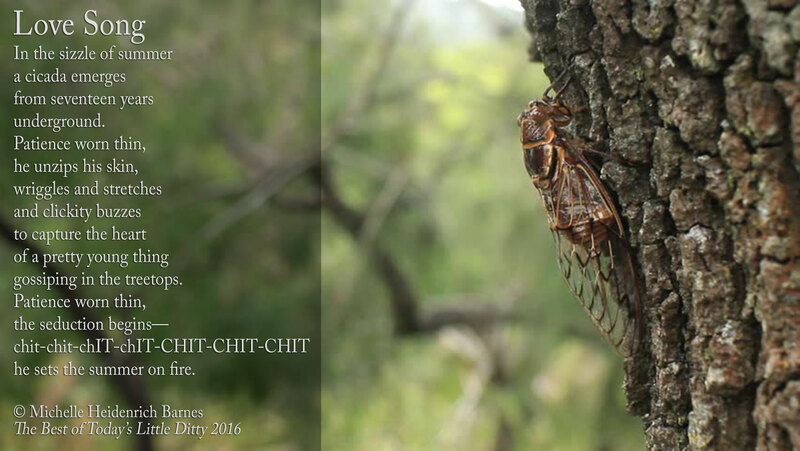 Love your cicada story, Alice! How I pine for the days before technology took over kids’ imaginations. I love Michelle’s work so much: on Today’s Little Ditty, her poetry, and in our community. It’s great to see her here! So glad to see you highlighting Michelle’s work! 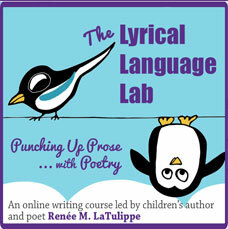 She’s such a wonderful resource and inspiration for children’s poetry and poets! Robyn, you are a sweetheart. I love that sentiment: “It is a place to rest.” XOXOXO back at you! That Michelle–she’s a gem. AND I realized that as much as I think of Michelle as a dear friend, I had never heard her voice before! How is that possible?! 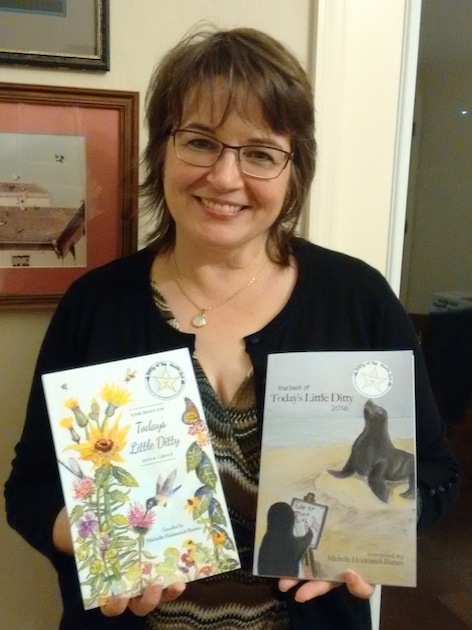 Thanks for highlighting Michelle’s wonderful contributions to kids’ poetry and poets, and for featuring her fun poems. And for hosting! Thank you for hosting today! I love Michelle’s work. Loved the poems you shared. Thank you for hosting and especially thank you for shining a spotlight on Michelle! She has done SO much to promote poetry and to lift up members (points at self) of the Poetry Friday Community! Wonderful topic for today!! Thanks for hosting, Renée, and visiting, Michelle! Thanks also for letting us know about Kidlitwomen. Thank you for hosting. I enjoyed reading about Michelle’s tireless efforts. She was actually who I reached out to last summer to find out more about Poetry Friday. So, in a way, it was her encouragement and kindness that brought me into this community! Thank you for hosting Renee and for highlighting Michelle’s work in promoting poets and poetry. We appreciate and need such tireless ambassadors. Heidi! How have I never seen that poem of yours? Yes, we should definitely set up a blind date for them. LOL. What a wonderful post! Thank you so much for highlighting Michelle’s amazing work. It was such fun to hear Michelle read her poems aloud. I love them both! Have now flown back to watch the video Renee & Michelle! It’s a delight to see& hear you, Renee, way across the pond with your tall walls of books. So fun to hear Michelle read her poems, with swing, swing, swing! Michelle, you are the creative performer your great theater background prepared you for. And your poetry sings, too. Renee, your interview with Michelle is a great tribute to her and well-deserved. Michelle’s poems are a rich mix of information and fun with a rhyming pattern that I am trying to study and emulate. There is so much richness in this PF post today. Thank you for hosting. Stopping in for one more quick comment to thank everyone for such effusive praise. I think my head has swollen to three times its normal size… but I guess that’s okay since my heart has as well. Balances things out. 🙂 Thank you everyone! 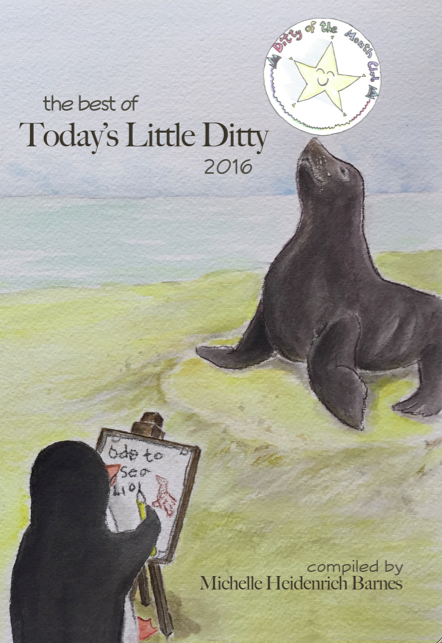 Today’s little ditty books look awesome – thank you Renee for sharing and for hosting! Have a great week ahead. I watched your video and loved it!